Focus on a specific topic and explore it deeply, much more so than a single blog post or podcast can cover. Employ a variety of teaching methods, including video, audio, text, and exercises like worksheets. Ask your students to complete homework that reinforces your teaching. Foster a deeply engaged community around your course’s subject. Facebook Groups or Slack communities are good tools for this. Set up a passive income stream that allows you to determine your level of engagement. Charge a premium price for a quality learning experience. Creating a great course worthy of a premium price requires that you make a solid investment in time and effort up front, but when done properly, it allows you to build a solid passive income stream for your business. My online courses were instrumental in helping me grow the Smart Passive Income business, and I want to teach you how to do the same for your business. This page serves as an index to all of the content I’ve created on creating and selling online courses. Bookmark it and return throughout your creation process. Be sure to click through to the posts and podcasts that I share below; they contain a wealth of information. The tutorials below will help you get started. Smart Passive Income Podcast 136 with David Siteman Garland is one of my most popular episodes. David walks you through the entire course creation process, from topic selection to launch. If your concern is pricing, listen to Smart Passive Income Podcast 222 with Ramit Sethi. Ramit is a master at pricing, and he will teach you how to match your course’s price to your target audience. Once your course has been created and priced, you need to sell it. On Smart Passive Income Podcast 137, Amy Porterfield teaches you how to use three specific videos to boost your sales, especially through platforms like Facebook. David Siteman Garland walks through all the common questions, objections, and fears you may have when creating and launching a course. Learn how to pick your topic, price, and launch your course. 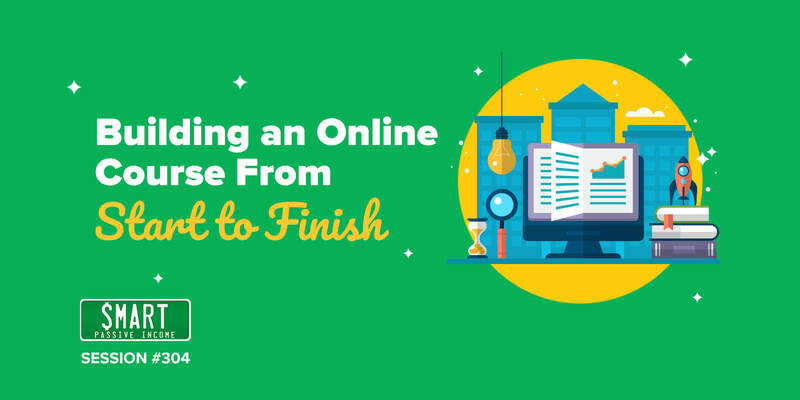 If you're going to take an online course, you want it to be worth your time and money. Here's how to succeed with online courses, whether you are the course creator or the course student. This episode of the podcast walks you through the process of creating an online course—and not just how to create your content, but also how to approach the creation process. You'll learn how to push through the fear of asking for money and how to validate your idea before you start—as well as hear my best tips for creating great course lessons. After previously experimenting with creating a membership site, I learned that I prefer the course model for paid content. These lessons I learned with the launch of my first paid course, Smart From Scratch, will help you build a strong online course. In this podcast episode, I talk about testing my online course with a founding (beta) group before launching it publicly, as well as why I personally prefer courses over membership sites for teaching. Pricing courses and products doesn't have to be mysterious. Ramit Sethi explains how to match your digital products or services with the perfect price point for your audience. Sarah Argenal is in the middle of launching her online course. I’ve have the pleasure of getting to know and mentor Sarah through a series of “accountability calls” as she builds her online course, and today, we’re going to check in on her progress. 31 course creators from various niches share their #1 tip for creating and selling online courses. Learn what has worked for a wide variety of creators, including tips for choosing your topic, sticking to your creation plan, and launching your course with a bang! Selling your course to a customer isn't the end—it's the beginning of your relationship. I highlight ten specific strategies to help your course customers follow through and take action on what you’re teaching. What if I was just getting started now? 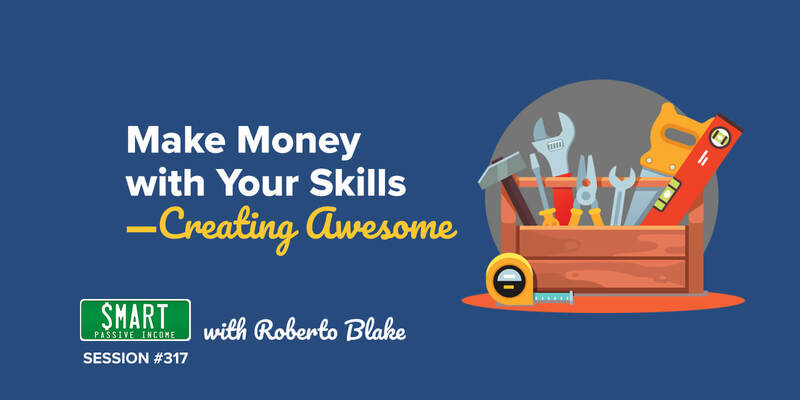 Roberto Blake walks me through exactly what he’d suggest I do to get started building a personal brand. He identifies the strategies, tactics, and mindset that any new entrepreneur should embrace, and highlights the shifting culture of modern business. Roberto has a reputation for building brands from the ground up and helping entrepreneurs make money with their creativity, and his game plans are spot-on. In the next section, you’ll find six entrepreneurs just like you—online business owners looking for a better way to serve their audience while also making more time for what matters in their lives. They have an amazing breadth of knowledge to share; lessons learned from creating and launching courses of their own. I especially love sharing success stories from listeners! One of the most powerful case studies below is Smart Passive Income Podcast 162 with Nick Stephenson. He listened to my conversation with David Siteman Garland, implemented the advice, and made over $100,000 with his launch. These case studies will give you the inspiration you need to get started, and keep you on track with their specific, actionable advice. In this guest post, Grant Baldwin writes about his experience launching his first course and how it didn’t meet his expectations. He then talks about round two where he validates, builds and launches a second course that worked out much better, and the lessons he learned from that experience. Smart Passive Income listener Nick Stephenson took the lessons from Episode 136—had had a wildly successful course launch. Nick details his in-depth, step-by-step launch process. Meghan Telpner created an incredibly successful online certification course for aspiring nutritionists. Her course course requires a serious investment from its students. In this episode, Meghan shares exactly how she attracts students willing to make that investment, how she continues to grow her course, and the resources she uses to maintain it. Before founding Art Camp, Noah was frustrated by the options available to fellow artists who wanted a quality education. Art school isn’t cheap, and many artists take on enormous debt in order to get the training they need. Noah saw a way to help: he’d offer up his years of professional experience in an online course, using a series of videos to teach key skills to fellow artists. Today, Art Camp isn’t just a profitable passive income stream for Noah—it’s a thriving community of artists who support and learn from each other online. In this episode, Jess shares how she built her incredible business empire (which includes online courses), but she also digs into a side of entrepreneurship we rarely talk about: what to do with those “gut feelings” and that voice inside of us that pipes up whenever we’re facing major career crossroads. Shayna Oliveira built her online business steadily over time, through hard work, persistence, and smart strategy. It’s easy to fixate on the flashy, exciting “overnight success” stories of the online business world. But it’s stories like Shayna’s—where smart, committed business owners pursue their goals in spite of daunting odds—that pack the truly valuable lessons for aspiring entrepreneurs. Teachable is the platform I'm using to build and sell online courses. It's easy to set up video, audio, and text; collect payments; and communicate with students. Teachable lets you focus on what you do well—creating great content—and takes care of the rest. As you get started with selling online courses, I know that you may have questions. This is where the AskPat Podcast can help you out. Listeners just like you ask questions, and I answer them. I’ve taken questions on a wide range of topics, from determining if there is a market for your course to setting up the course and selling it. Here are the top questions (and my answers!) on online course creation. If you don’t see your question here, visit the AskPat page to leave a voice mail for me on Speakpipe and I just might answer it on the show! AP 0991: Should I Package My Courses as Separate Modules? On today's AskPat Podcast, Darcie asks, "Should I package my courses as separate modules?" Here's how to package and market your course to your audience. AP 0958: How Do I Make More Course Sales? On today's AskPat Podcast, Corey asks, "How do I make more course sales?" These techniques will help you increase your course sales. AP 0954: How Do I Keep My Book Launch from Overshadowing My Courses? On today's AskPat Podcast, Mo asks, "How do I keep my book launch from overshadowing my course content?" Here's how to pair your courses with your book. AP 0930: Which Platform Should I Use for My Online Course? On today's AskPat Podcast, Jamie asks, "Which platform should I use for my online course?" Here's how to validate your idea and create your course. AP 0921: Should I Create My Course or Build My List First? On today's AskPat Podcast, Amy asks, "Should I create my course or build my list first?" Here's where I think you should spend your time before launch. AP 0890: How Can I Secure My Online Course? On today's AskPat Podcast, Ron asks, "How can I secure my online courses so that people don't give away their access?" Here's how to manage this problem. AP 0832: How Much Free Content Should I Give Away with My Online Course? Today’s question comes from Richard, who has a question about how much free content he should add within his online course. How much content should he give for free as a teaser for his online course? AP 0825: How Do I Determine If My Niche Is Right for an Online Course? Today’s question comes from Sarah, who has a question about how she determines if her niche is a good one for an online course. How does she determine if her niche and topic are right for an online course? AP 0817: I’m An Online Educator. Should I Create a Subscription Service or an Online Course? Today’s question comes from Amirra, who has a question about creating a subscription service and creating an online course in the education space. Should she create a subscription service or create an online course? What is the difference between the two? AP 0777: How Do I Market and Validate My Online Course Idea? Today’s question comes from Bobby, who has a question about marketing his online course. If he has already built his online course, how does he collect students? What should be his focus: research or promo video? AP 0725: How Do I Keep My Video Course Private? Today’s question comes from Brian, who is planning to sell a video course. How does he keep his course private? AP 0671: Should I Drip My Course Content? Today’s question comes from Glenn, who asks about the best way to structure his course. Should he provide access to all of the videos at once, or should he drip out the course content, providing access one at a time? AP 0641: Should My Course Use a Facebook Group for Comments and Questions? Today’s question comes from Jane, who has a course and is thinking about how to manage comments. Should she keep them within the course platform, or should she start a Facebook Group specifically for comments and questions? 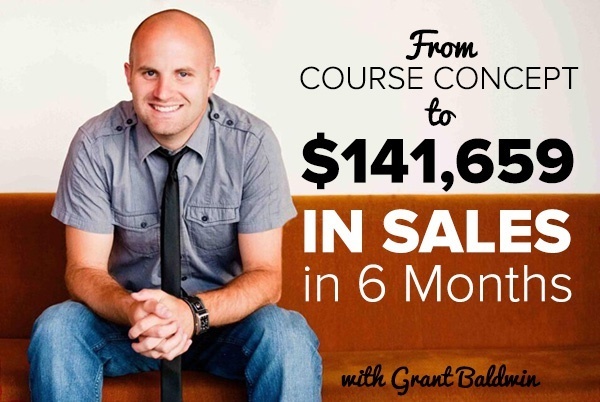 AP 0478: How Do I Increase My Udemy Course Sales? Today’s question comes from Diego, who asks how to increase sales for the courses he has on Udemy.com. What should he do to grow? Today’s question comes from Saj, whose audience is asking him to create some coaching courses. What tools does he need to create a course? AP 0406: I Have Courses. How Do I Build My Audience? Today’s question comes from Tanner, who has courses on Udemy. He’s ready to market courses from his own platform, but he doesn’t have an audience yet. How should he get started? AP 0352: How Long Do I Wait Before Releasing a Course? Today’s question comes from Danny, who asks how long he should wait (or how many subscribers he should have) before releasing a course. AP 0249: Should My Online Course Have Open Registration or Registration Windows? Cassel returns to ask about online courses. Should she have open registration or registration windows that close after a short time? Thanks for letting me help you! Creating an online course is one of the best ways to help your audience. You have the time to explain concepts deeply and to guide your audience through life-changing transformations. Thank you for allowing me to help you get started! I can’t wait to answer your questions and hear about your success as you create your own online courses. You’ve got this! I take my role as the Crash-Test Dummy of Online Business very seriously. I’ve spent years testing online business strategies in order to create the tutorials and courses you see above. I only recommend third-party tools that I have reviewed and used myself.